https://www.fairborndailyherald.com/wp-content/uploads/sites/50/2018/11/web1_181102-F-JW079-1172.jpgSubmitted photos An Air Force Life Cycle Management Center’s F-15 Engineering Branch team member pulls the trigger on their trebuchet-style catapult to hurl a small pumpkin during the 14th annual Wright-Patterson Air Force Base, Ohio, pumpkin chuck Nov. 2. Representatives from the 88th Air Base Wing safety office watch in the background. 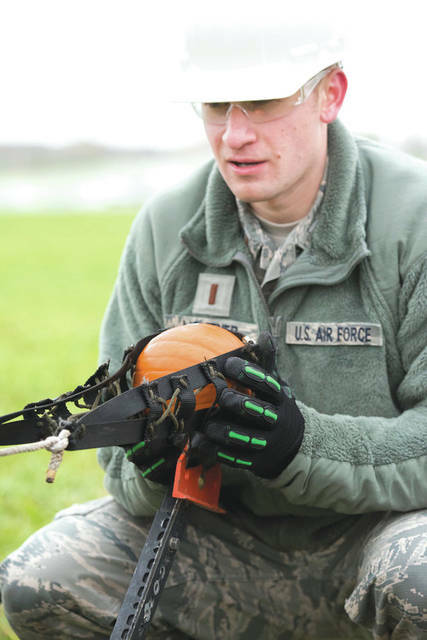 https://www.fairborndailyherald.com/wp-content/uploads/sites/50/2018/11/web1_181102-F-JW079-1057.jpgSecond Lt. Joshua Lightner, Air Force Life Cycle Management Center’s F-15 Engineering Branch, loads a pumpkin into a trebuchet-style catapult Nov. 2 in preparation for the 14th annual Wright-Patterson Air Force Base, Ohio, pumpkin chuck. 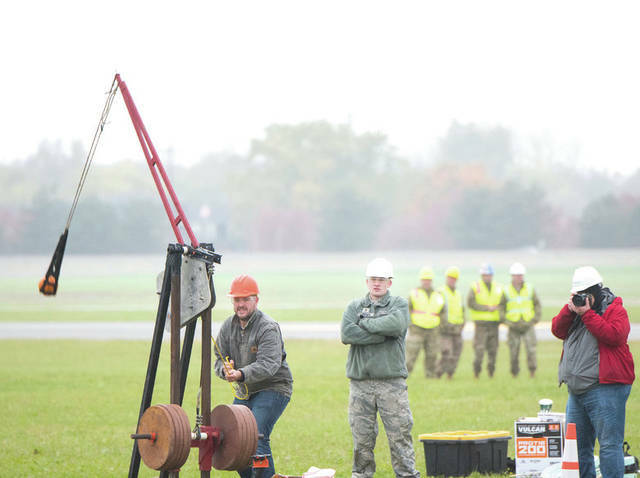 The competition, held behind the National Museum of the U.S. Air Force, gave teams the opportunity to show off their engineering skills.